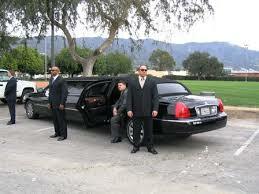 WHAT IS THE PURPOSE OF AN EXECUTIVE PROTECTION PROGRAM? An Executive Protection program is designed to establish guidelines for minimizing the risk of and, if necessary, reaction to criminal, terrorist, and those wishing to smear the image of specific individuals and their immediate families; in their offices, residences, commuting and while traveling domestically and internationally. An Executive Protection program and risk assessment process should ensure appropriate security protection commensurate with any identified terrorist, criminal or other threat in any environment – including the internet. Besides the obvious reasons behind wanting to make sure the Executive Protection program is appropriate, there is always a consideration of cost, as an Executive Protection program can become very costly, very quickly. Often times a Corporations Board of Directors will order such a review for similar reasons and to comply with its mandate of due diligence. And lastly, individuals feel the need for such a program and they want to ensure they are getting the most qualified personnel that can actually do the job effectively as well as efficiently. TWG will review all policies, processes and protocols currently in place and compare it to the current level of risk, industry standards, and realistic Executive Protection procedures as developed by the United States Secret Service in order to develop the standard for your Executive Protection program. TWG’s developed standard will also determine if, given the perceived threat level and profile, a 24-hour security program is necessary for the designated protectee(s). If requested and agreed upon, a secondary assessment of the potential threats and vulnerabilities of other senior executives and members of the Board of Directors can be accomplished. Finally, TWG will assess the security program as it relates to the requirements of the 1984 Tax Reform Act, Section 132 for proper tax deductions. WHY SHOULD TWG DEVELOP OR ASSESS YOUR EXECUTIVE PROTECTION PROGRAM? Our primary staff consists of former United States Secret Service Agents who worked Presidential and/or Vice-Presidential details and/or Protective Intelligence Units. We do an actual needs assessment, often referred to as a threat analysis. A true threat analysis not only deals with the safety and security of a specific person, but the procedures necessary for handling potentially dangerous or embarrassing situations that may threaten the safety of the individual, the company and/or their families. We will identify those situations most likely to present a threat; the methods most likely to be utilized to create a threat, harassment or embarrassment; and the potential vulnerability to the identified threat(s). We substantiate our recommendations by benchmarking several companies and/or individuals similar in size and potential risk to confirm industry standards.